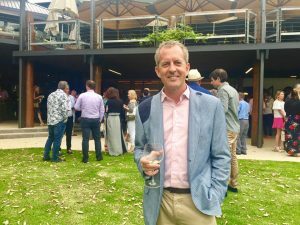 SUN NOVEMBER 12 Denis & Tricia Horgan hosted nearly two hundred people for lunch at Leeuwin Estate Winery in Margaret River and helped raise $630,000 for Telethon. 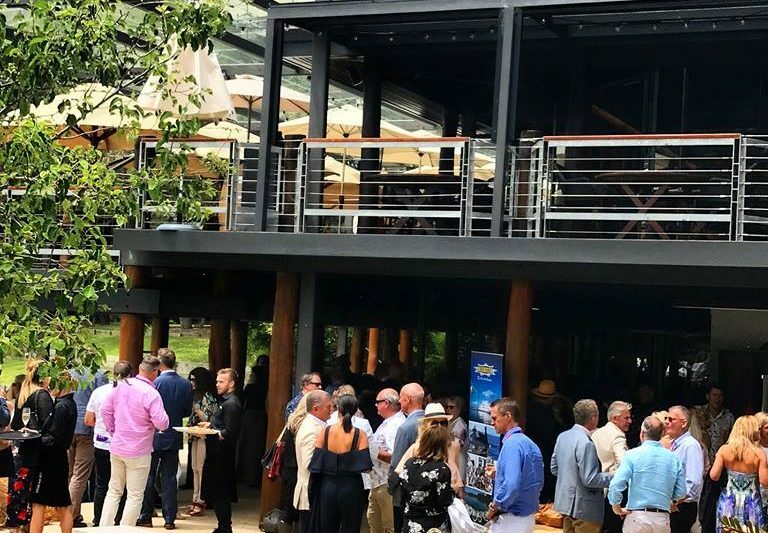 Instigated six years ago by Denis and Tricia Horgan, who wanted to find a way to help raise money for Telethon, the annual Leeuwin Lunch is a truly special event. Together with Simone, Dany and Stepan from Leeuwin Estate, the Sunday Lunch has become a must-attend event. Upon arrival at the airport guests were greeted with champagne, juice (and of course coffee!) and were welcomed by Hugh Davin from Network Aviation. 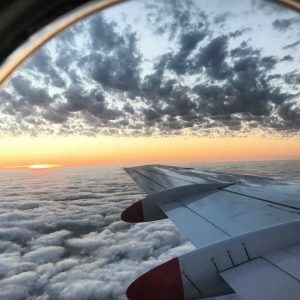 After admiring the beautiful jewelry pieces from Linney’s available for all to wear for the day, everyone boarded the two planes and enjoyed champagne and pastries on the comfortable and very short flight to Busselton airport. 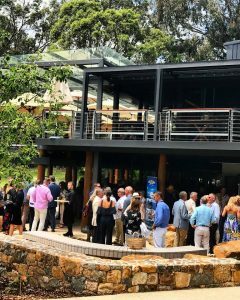 Southwest Coachlines were ready to transfer all guests straight to the world famous Leeuwin Estate where pre-lunch drinks and canapes were enjoyed outside listening to the sultry tones of a talented local jazz singer. The recently renovated art gallery was transformed into a stunning dining room where guests were seated for lunch. 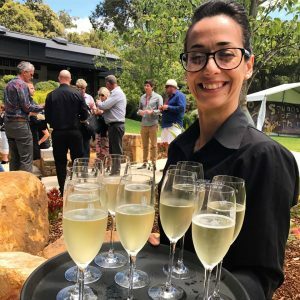 Only the very best fresh local produce was sourced and kindly donated and Dany delivered a menu second to none perfectly matched with Leeuwin Estate Art Series wines. As always the auction got pulses racing as Tiny Holly worked the room. 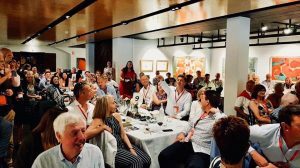 With the incredible generosity from attending guests and such an exclusive offering of prizes, including a money can’t buy 7 night stay aboard The World Residences at Sea, the auction alone raised a phenomenal $274,000. It is extremely rare to have a ‘cost-free event’ these days and it’s only possible with the passion and support of Denis and Tricia supplying all of the world-class food and wine, Hugh Davin from Network Aviation who absorbs the costs from the two planes to get everyone to Busselton and the team at Southwest Coachlines who provide the ground transfers to and from the airport and Leeuwin Estate. As a result of this, 100% of the money from this event each year goes towards helping the kids of WA. 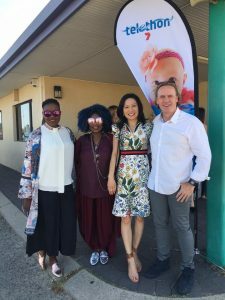 Telethon CEO Steve Mummery said at the event “Every cent from every dollar people paid to be part of this event goes to Telethon and that only happens as of the result of such generosity of the companies involved in getting everybody here on the day”. This annual event has now raised over $1.7 million for Telethon since it began in 2011.